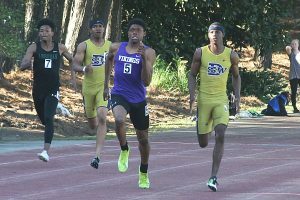 The annual DCSD Track and Field Championships begin Saturday at 10 am at William “Buck” Godfrey Stadium with some of the best track athletes in the state competing for individual and team gold. Lakeside enters the 60th running of the Boys’ Championship as the defending champion with Class 5A state champion Southwest DeKalb and Class 3A state champion Cedar Grove ready to take the crown. Lakeside’s win in 2016 was the program’s fifth while Southwest DeKalb which won in 2015 is looking for its 15th title and Cedar is still in search of its first county championship. Sophomore Brian Herron returns for the Vikings and looks to add to his 400 meter gold from a year ago. The Panthers return seniors Terry and Terryon Conwell who both won gold in the Class 5A state championships last spring in the 100 and 200 (Terryon) and 400 (Terry) as well as being part of the 4×100 gold medal team. Cedar Grove returns DCSD 100 meter bronze medalist Israel Spivey and Kourtney Cox who were both part of the Class 3A 4×100 and 4×400 meter relay state championship teams as well as Jadon Haselwood who picked up a silver medal in the Class 3A 110 meter hurdles and a bronze in the 300 meter hurdles. This year’s girls’ championships is the 41st running of the event with Chamblee returning as two-time defending champion. The Lady Bulldogs return triple jump gold medalist and 400 meter dash runner-up Rachel Elder along with distance runners Beining Xiao and Annie Magee. Tucker was the 2016 runner-up and returns a solid group of competitors including sophomore Kaylah Lumsden who swept the county 100 and 200 meter runs last year. Also returning is senior Antonia Frazier who finished second in both the long jump and high jump in 2016. Third place finisher Dunwoody returns senior Alexandra Womble (2nd pole vault) and junior Samantha Cameron (4th in 3200) to lead a young team into the championships. 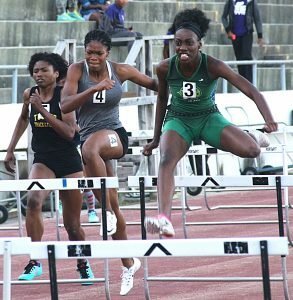 Fourth place Arabia Mountain brings back a strong contingent high and triple jumper senior Cicely Kendrick (4th and 5th, respectively) and senior hurdler Destiny Rocker (gold in 100 meter hurdles, 5th in 300 hurdles). Senior sprinter Mikayla Jordan returns to improve on her fifth place finish in the 200 and sixth in the 100. Saturday begins with field events beginning at 10:00 am and the track preliminaries (Girls 1600m run finals, Boys 3200m run finals) set to start with the 4×100 relay prelims at 3:00 pm with the other events to follow.